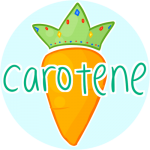 Carotene: Twice - What Is Love? Dance Cover!!! Hey everyone!! Here's our Christmas themed dance cover of Twice's What Is Love!! Hope you enjoy it!! Happy holidays everyone! !